Did you play the original Bug Heroes game? I did. Years later, Bug Heroes 2 ($0.99/Universal) is Foursaken media's latest addition to their lineup, following Bug Heroes Quest. I must admit that while I played the first game extensively, the unlockable characters via in-app purchase threw me off. It didn't help that I sucked at the game and it seemed that no matter how hard I tried, I just didn't have powerful enough characters to use. 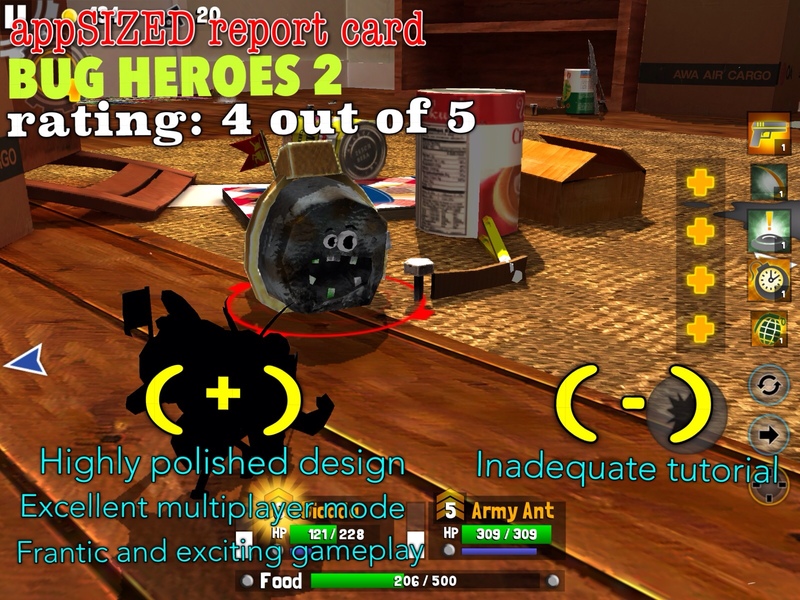 As for Bug Heroes 2, there are significant improvements and more problems compared to the original. It's still the same game as the original – you control an arsenal of fighting bugs (spiders, ants, etc.) and use them to fend of waves of aggressive enemies who are out to steal your food stash (a.k.a. your base). This time, however, you have two (2) heroes to control. These heroes are obtained randomly (slot machine style), and more heroes require a certain number of stars to unlock further. 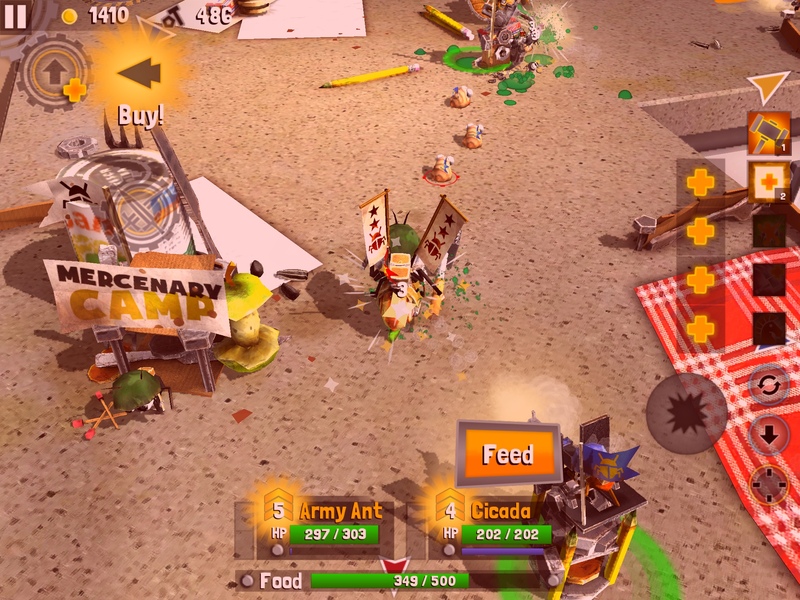 The game is a mix of shoot em up, role playing game (RPG) and a bit of tower defense. 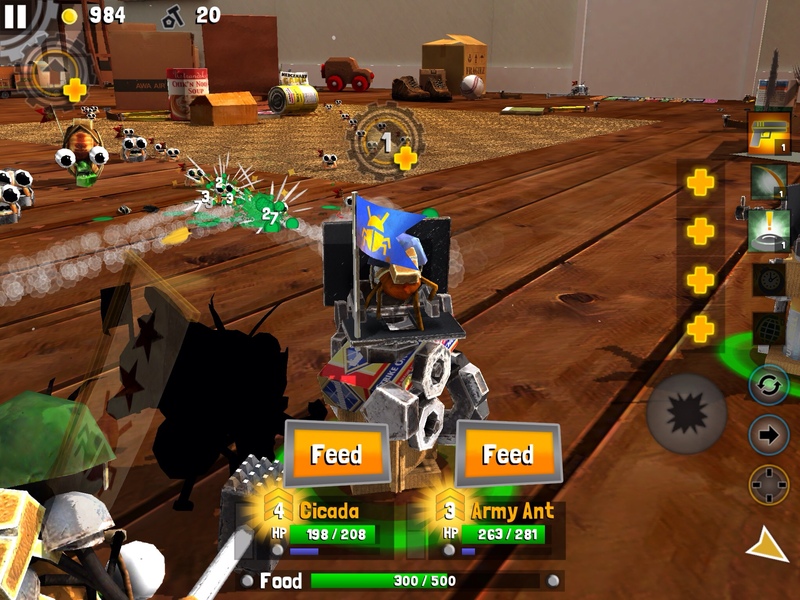 You shoot your way to defend your base and capture strategic points to control. The tower defense comes in when you collect spare parts to built turrets that shoot down incoming threats, generate power ups, etc. The RPG comes in when it comes to how much and how extensively you can develop your hero's skills and abilities. In addition to passive abilities and skills you can learn (using crystals to unlock and 'learn' scrolls), you also have unique power ups that you level up in game and which you can use for special attack and defense. 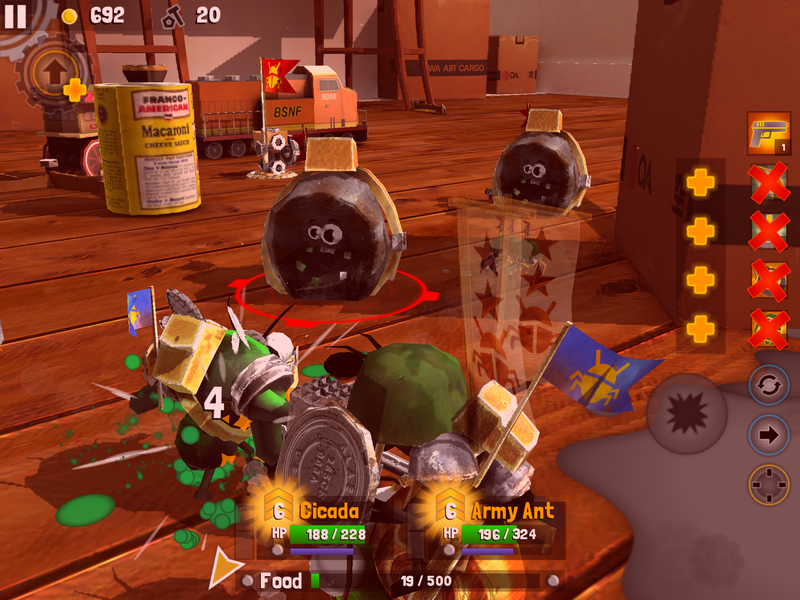 In addition, you can also buy in-store items during the game such as potions and additional weapons and upgrades for your turrets. 1) Is there a maximum carrying capacity for spare parts? Some spare parts lying around can't be picked up. Other times, there is a lag in the updating of the number of spare parts. Sometimes, the spare parts picked up aren't counted at all. This affects the gameplay significantly because I can't buy stronger towers or upgrade existing ones if the number of spare parts isn't showing correctly. 2) Why can't I access Tier Two items? Currently there is no explanation in the tutorial or heroes' information as far as I can tell. A quick explanation in game would suffice. 3) The Battleheart-style passive skill tree is confusing when accessed in game since there are a number of unlockable special skills but some of the icons are not self-explanatory. 4) The special skills unlockable within the game if your character levels up is not explained. The icons do not give a sufficient explanation. To find out what the skills' icons mean, you would have to exit the game and look at the individual player profiles. The controls are a bit clunky, too. Basically, you control your heroes' movement on the left side of the screen and perform actions on the right, such as power ups and directing your partner's movement (to move behind you or move in a separate direction), toggling the view (top down and over the shoulder), etc. What I did like about the game very much was the multiplayer mode. The developers intended to make multiplayer mode MOBA (multiplayer online battle arena), and for playing a co-op or versus game via wifi, the game really works. The in-app purchase option enables you to buy crystals for enhancing your character's abilities but you can also earn these and stars by completing missions. So far, I haven't felt the IAP push too much and that is highly appreciated. 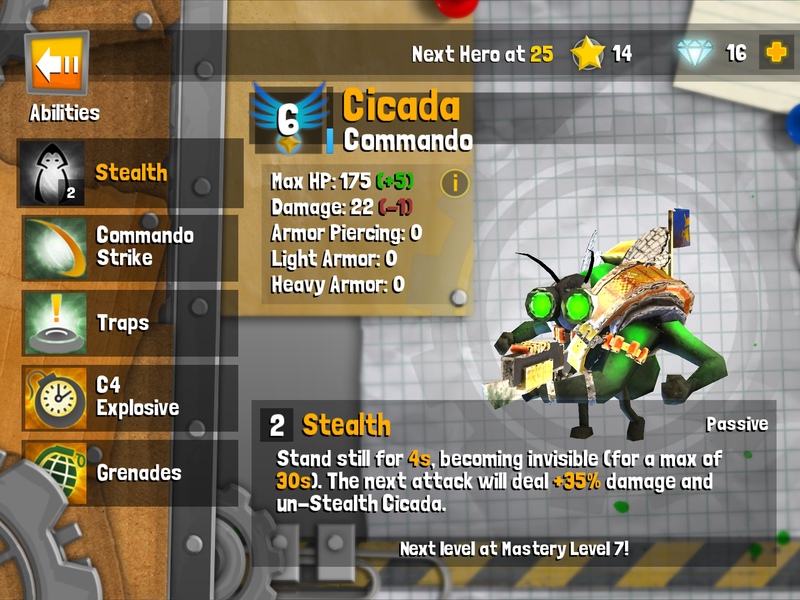 Compared to the original Bug Heroes which encourages you to purchase stronger and more powerful characters, here in Bug Heroes 2, the crystals needed to enhance abilities can be earned through completing missions in endless or multiplayer mode. 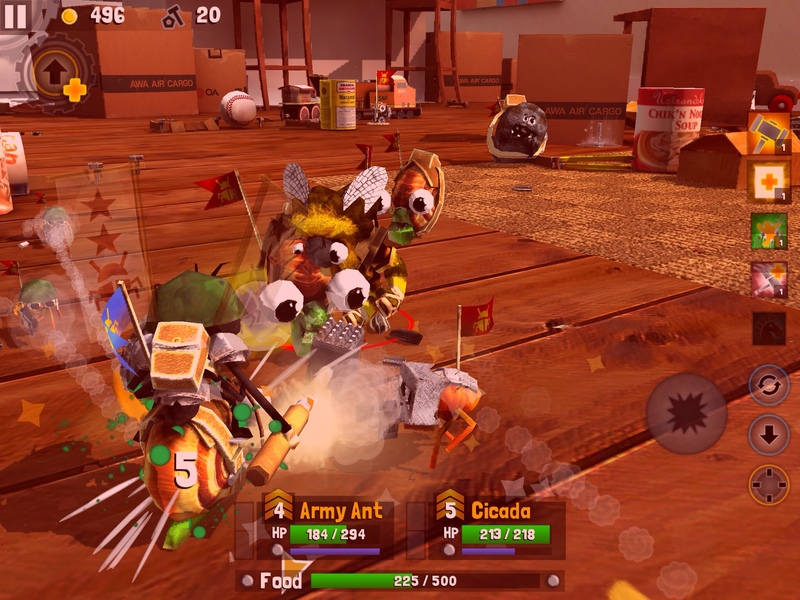 Bug Heroes 2 is overall a unique game. It looks great and full on assault is pretty fun and exciting. The lack of adequate information and some possible bugs can affect the overall enjoyment of the game, however, so I hope the devs will read this review and consider having some of the problems fixed.